Do you ever reach for a few squares (or a block!) of chocolate when you’re feeling stressed? Well, it turns out that you might have been doing the right thing all along, as research has found that chocolate, more specifically cacao, may actually help to relieve stress and boost our performance so we can get the stressful jobs done. What is the difference between cacao and chocolate? 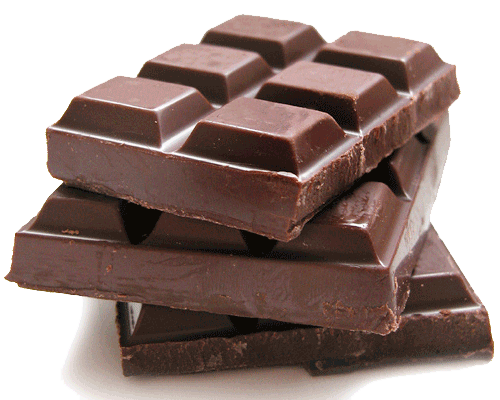 Cacao is another term for cocoa beans, which are added to sugar and fat in order to make chocolate. They are known to increase blood flow to the brain, protect brain cells from damage because of their antioxidant content and improve memory formation, so they may have long-term benefits if eaten regularly (in moderation!. In one study involving 122 participants, those who ate chocolate containing 60% cacao were found to have increased beta brain waves and decreased theta waves in comparison to other participants. So what does this mean for the rest of us? Theta brain waves are usually found when someone is under emotional stress, while beta waves usually appear during mental activity. This means that cacao appeared to both reduce stress and increase alertness. In another study, 30 participants who ate around 40 grams (1.4 ounces) of dark chocolate every day for two weeks were found to have reduced levels of the stress hormone known as cortisol, as well as other hormones involved in the response to stress. Cortisol is produced when we are stressed because it can release some of the body’s sugar stores, giving us the energy to run away or think our way towards a solution. Adrenaline is also involved in the stress response; it increases blood flow to the heart and muscles, and opens the airways in the lungs, so we can run from danger. As levels of these hormones were reduced in urine samples of the participants eating dark chocolate, it may help to reduce stress and therefore the need for these. To get these benefits from chocolate, it is recommended to aim for at least a 60-70% cacao content, with raw cacao having a higher antioxidant content. Some cacao farmers exploit both adults and children living in poverty, so mak sure that you choose a fair trade chocolate or cacao. Melt cacao wafers, maple syrup and coconut oil over low heat. Pour evenly over coconut filling and base and smooth out. Place in freezer for 2 hours to set. Once set, remove the paper and slice into bars. These bars will soften fairly quickly when at room temperature, so store in the freezer until ready to eat. Note: this recipe has been adapted based on a combination of two recipes one from Detoxinista and the other Changing Habits.